Affordable alternatives to the conference in the twenty-first century may be quite a few, but at Best Western Time Hotel, the company really gets a lot for the money. The meetings taking place here create a homely environment that immediately eliminates all the concerns, so that a natural focus falls on the work that has come about. 144 rooms and in total for 305 are available for multi-day conference guests at Best Western Time Hotel. Parquet floors, furnishings bny classical contemporary designers, floor heating in bathrooms, and blue and green as beautiful color schemes among earthy colors, create a tranquil environment where body and soul can relax and rest during the night. Best Western Plus Time Hotel is the place for the smaller meeting. Here the meeting will be personal and the company will not share the facility with several other groups. 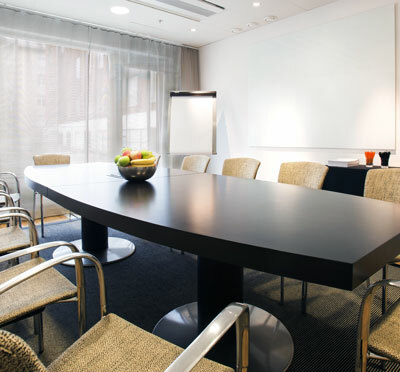 2 conference rooms - Time Room and Talk Room - are offered at Odenplan. Maximum 73 conference participants is seated in theatre style modern, bright premises where ideas get flourished and come alive. Up to 120 guests can seat in this facility's dining room, where you have good meals for breakfast, lunch and dinner. In addition, you have a lovely lobby bar - perfect for a drink before dinner or finishing refresher when the hard work has had its time. This conference facility has a nice and relax area that can be used for groups. In order to energize the heart, the participants can engage in workout at Planet Fitness that the facility has an agreement with. From Odenplan you reach the whole of Stockholm City. This hotel is a paradise for the public transport fan - the bus and subway lead all the way, and even some buses stop within walking distance of the hotel. 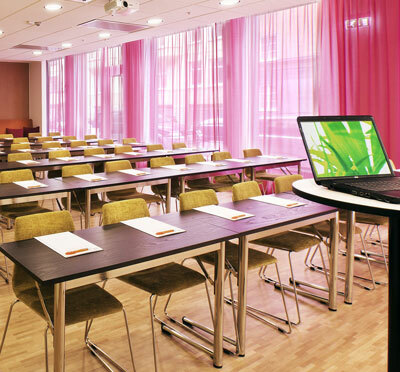 A 7-minute journey from Central Station gives a superb location in Sweden's capital! Best Western Time Hotel is environmentally-labeled and also climate-positive. No bad environmental conscience here! Have you been to BEST WESTERN PLUS Time Hotel and want to give your own comments?